Home Unlabelled How to keep balance in a relationship? Nowadays there is a common problem in a relationship.But what is the problem they can't find it and they are not happy tougher and decided that they will be separate from each other and it is best solution they think but it is not the solution you have to find the problem and solve it.Question your mind that why your are tougher?your are feel for each other that's why your are tougher.One think that i suggest you that don't take any decision when you are angry.If you are follow this tips you can revive from any situation. If a relationship have this eight thing then your relation is going to the right way.So you have to think that are you have this eight things if the answer is yes then don't worry your the perfect couple and if the answer is no then you have make this 8 things in your relationship. Trust-trust is the main thing in a relationship.You have to trust your lover.If you don't trust your lover then your relationship will never buildup.So try to trust you your lover as you can. Romance-In a relationship romance is like a energy drink.If you energy is lost then drink it.You have to do romance with your lover.This is the main spark in relationship. Understanding-Some time we can't understand our partner.But if don't understand your lover then your relationship will not running too much.So have to understand your lover. Listening-it is critical part in every relationship.Listen your lover what trying to say and understand it also.When your lover talking about something then listen it properly.If you listen her/him properly then he/she interested with you more.So try to listen your lover. 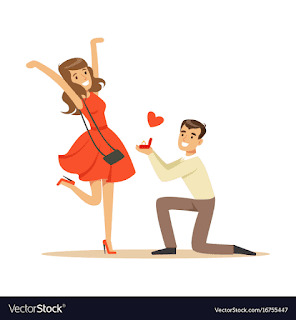 Valuable-Clear your to lover that what is value of her/him to you.told him/her our priority.If you describe her/him value your lover will be fall in your love again.